Throw in some color in you monotonous wardrobe with this super- trendy, super- chic and super- cool, colorful handbag. So many colors are used aesthetically in this handbag. 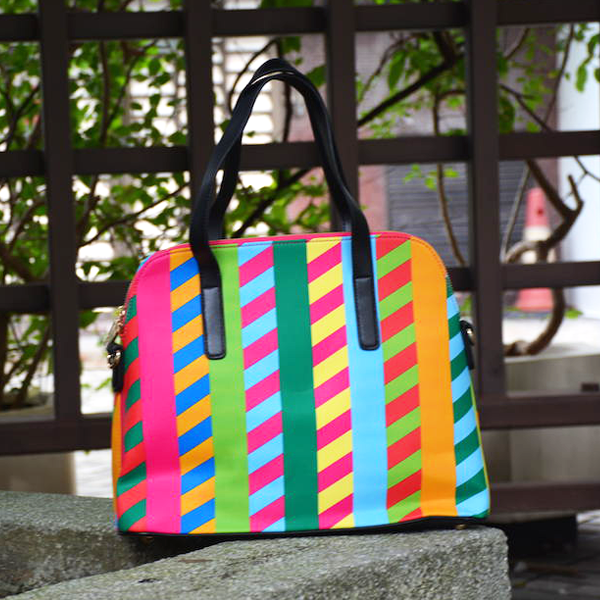 This handbag can give colors to your monotonous sense of fashion. This handbag can be teamed with any casual to semi- formal outfit. But, one thing you must keep in mind is to team this handbag with solid dresses. Carrying this bag with a printed dress will be a big fashion disaster unless you know how to boldly carry clashing prints. The one big compartment of this bag is more than enough to carry your belongings. There are small compartments too. Carry this bag on shoulder via a long black strap or in hands with two small straps. Available in two color Multicolor patterns. Inner Pockets : Two inner open pockets on one side. Actual color may vary from the pic due to light and photo effects.